This Northwoods League always keeps spectators on their toes. The Eau Claire Express creates a new experience for each of its fans at every single game. If you find yourself at Carson Park, you&apos;ll get to see not only a great game of baseball, but also everything from sumo wrestling competitions to t-shirt cannons to the epic Visit Eau Claire Home Plate Giveaway. There is always something interesting happening at an Eau Claire Express game... Now all you have to do pick which game you&apos;ll be heading to this baseball season. Plus, you get to check out Carson Park, the field where Aaron Hank, Bob Uecker and Joe Turre once dominated the field. You can just bask in the baseball history. 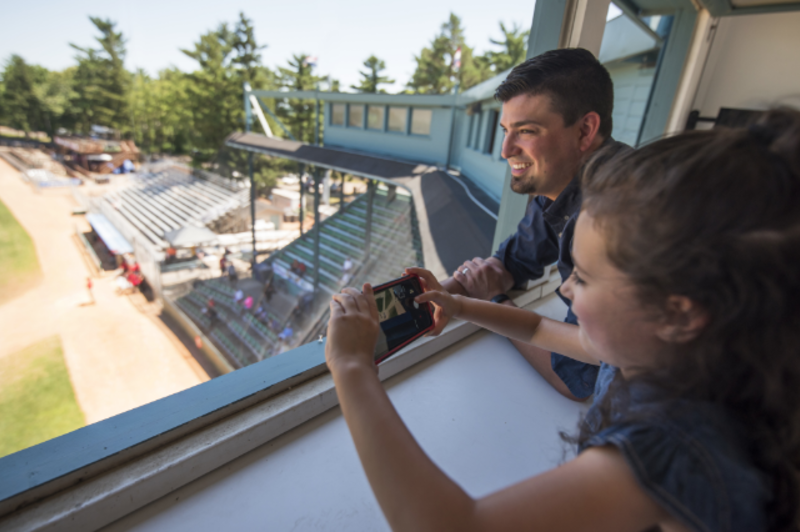 If you&apos;re a mega-fan or just a baseball lover, you&apos;ll want to check out the Eau Claire Express MVP Experience. You&apos;ll get a behind the scenes look at iconic Carson Park, get to have lunch with all of the players, experience an exclusive view of the field from the historic press box and get to feel like a true MVP for the day.